UBE Unity Pride Skate Party 2018 | UNITED BLACK ELLUMENTUBE exists to enable Black same-gender-loving men to fulfill their greatest potential for good! 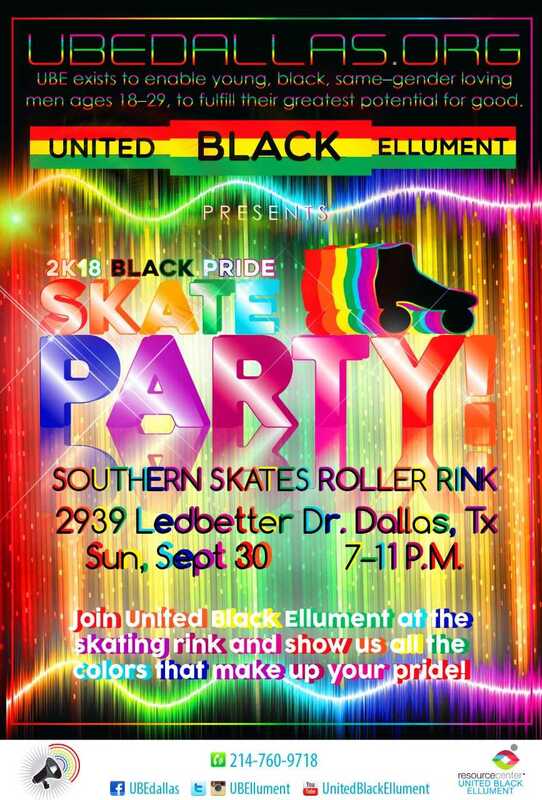 United Black Ellument will be hosting the “2018 Dallas Southern Pride Unity Pride Weekend Skate Party” on Sunday, September 30th from 7-11PM. Themed after one of the most wonderful times of the year – OUR ANNUAL BLACK PRIDE!!! We are are asking EVERYONE to come out in their best PRIDE spirit ever!